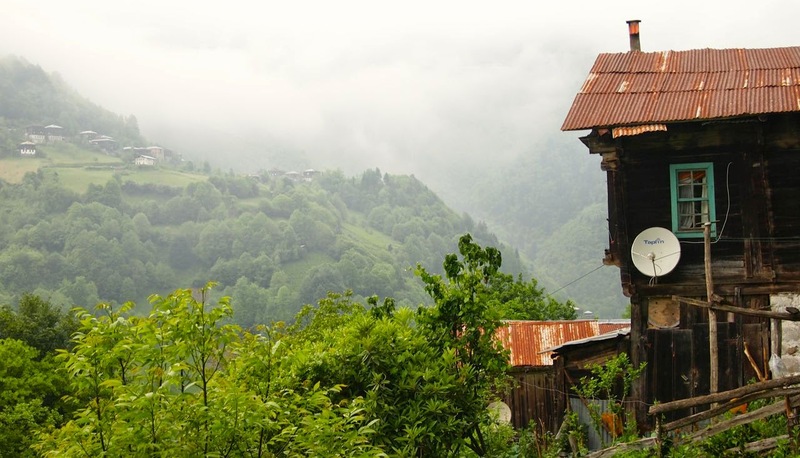 Alpine scenery and rain forests in an unexpected place: Turkey's Black Sea Coast. 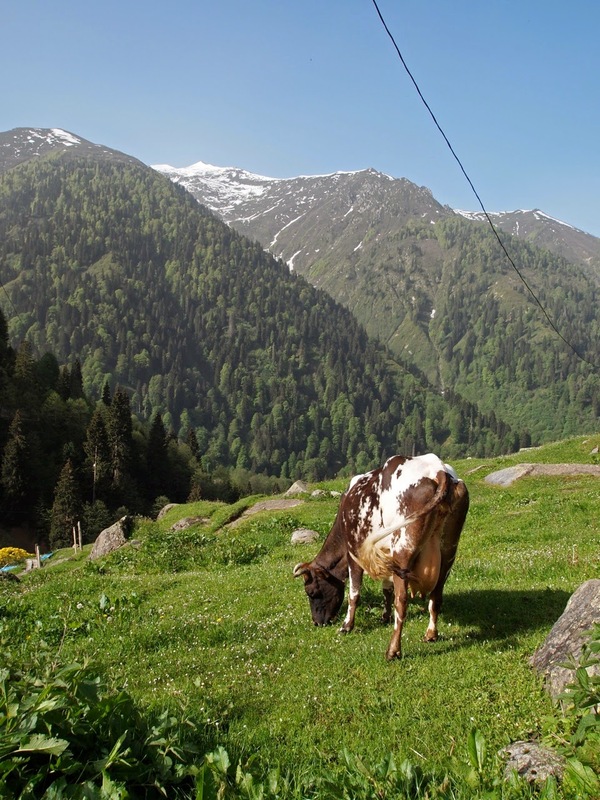 Most people wouldn't associate Turkey with Swiss-style mountain scenery. I didn't. Until I made my way to the Kaçkar Mountains. Be ready to be surprised (and delighted) by rhododendron-filled forests, alpine fields straight out of a Swiss milk chocolate advert, and one of the few places in Europe with a (temperate) rain forest. If you need some urgent communion with Mother Nature, try some hiking, rafting, trekking or any of the other eco-adventures offered here. North East Anatolia, between Trabzon and the Georgian border.The village of Ayder is a handy entry point. Map. 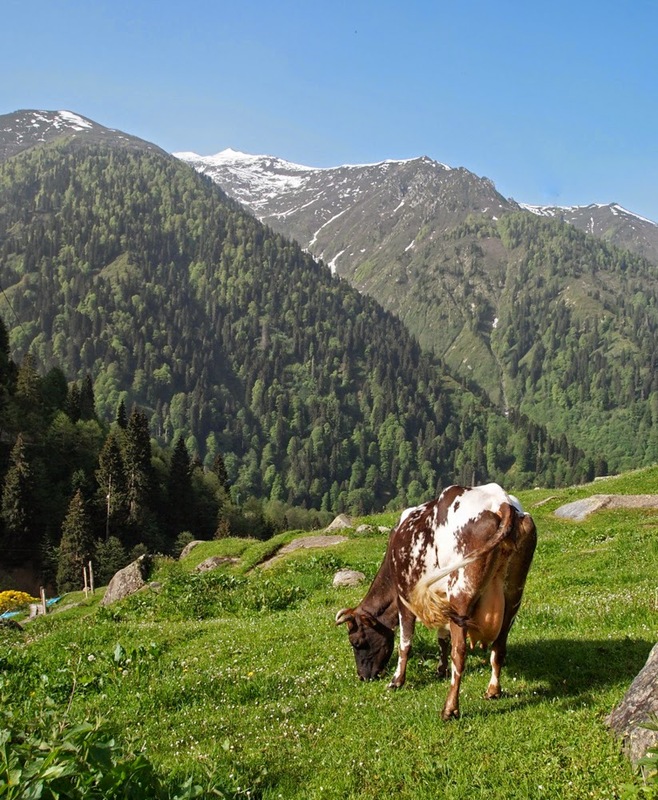 IN RECENT YEARS, the Kaçkar Mountains have become a Mecca for Turkish eco-travellers. And with good reason. There's enough hiking, trekking and rafting to keep the most determined adventure tourist satisfied. Fresh air fiends can breathe deeply, or soak their weary bones in hot springs. Unusually, part of the forest system is classified as a rain forest, a term we normally associate with the tropics. 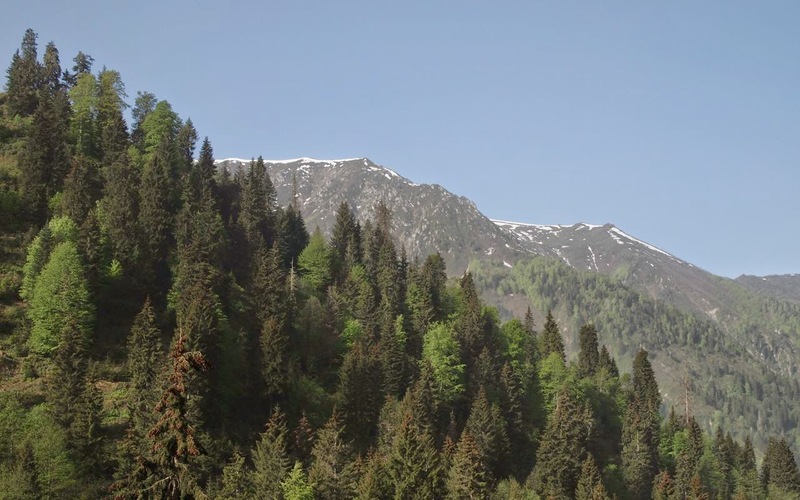 Rest assured that the forest cover is just as verdant and green as the equatorial varieties, although the trees are different, the monkeys are absent, and snow is never far away! 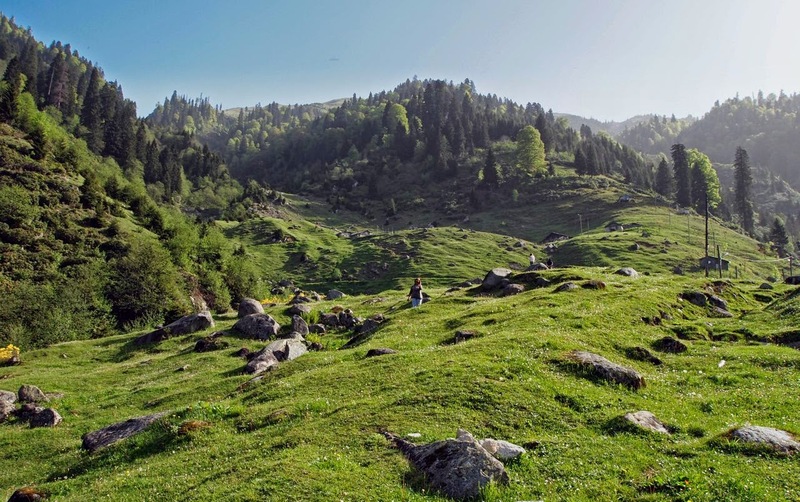 Apart from the various natural attractions, the Kaçkar also offer cultural diversity. Many of the people of this part of Turkey belong to the Laz and Hemşin ethnic groups. The Laz are Muslim, but speak a language related to Georgian. Both groups maintain their own distinct musical traditions, and are prone to burst into one of their famous circular dances, accompanied by a bagpipe. Whether this is due to a genuine passion for rhythmic movements or just to entertain gullible tourists, i can't say. But fun it is. Dancing with the locals: it looks suspiciously like a Greek sirtaki accompanied by something that looks suspiciously like a Scottish bagpipe. Many of the villages are built high on mountain ridges. The closest village may be seen just a few 100 meters away as the crow flies- but on the other side of a deep valley. 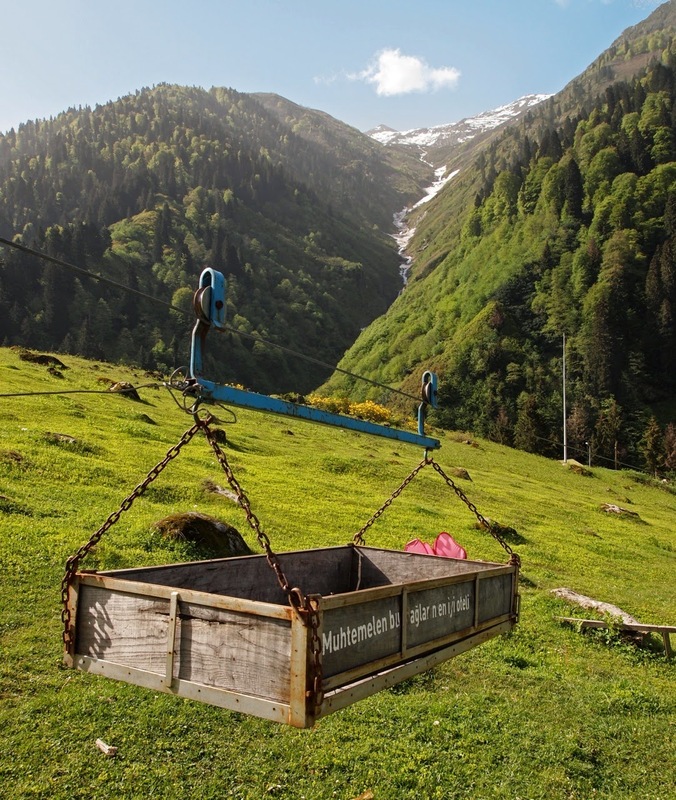 To facilitate communication with the people 'down below' there is an interesting communication system of open boxes and ropes, that allows you to send items (including bags of weary travellers) up the hill with ease. On a misty morning, the closest village can be seen across the valley- less than a kilometre as the crow flies but a lot further for you to walk! Send a message in a tray to your beloved one down the mountain. 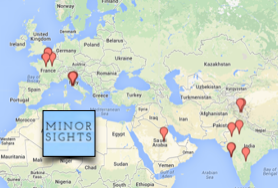 Can't stomach another eggplant salad or döner kebab? Although the quality of the food in Turkey is generally high, sometimes you need a break. Here the Kaçkar offer solace too, as much of the food of the Black Sea coast is distinctly different. 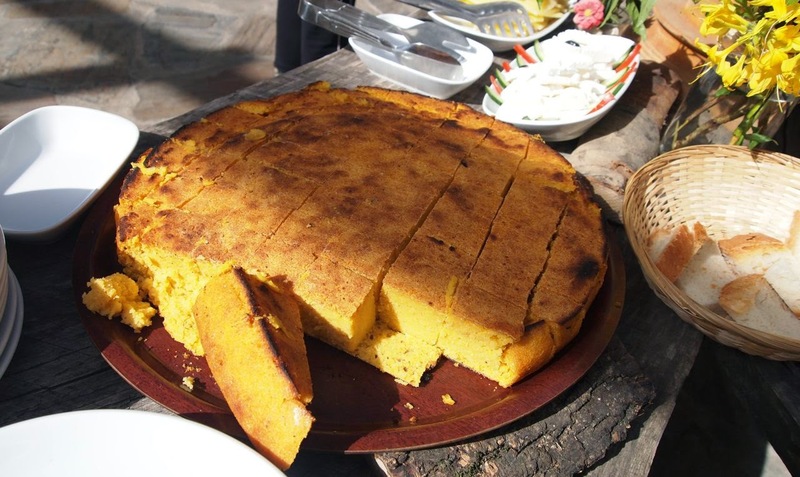 Cornbread is just one of the local specialties. The village of Ayder makes an excellent base. As you leave the coast you will pass the tea gardens near Rize, source of the most iconic of Turkish drinks, çay. As you turn inland, you will follow a mountain stream with several ancient Ottoman bridges. 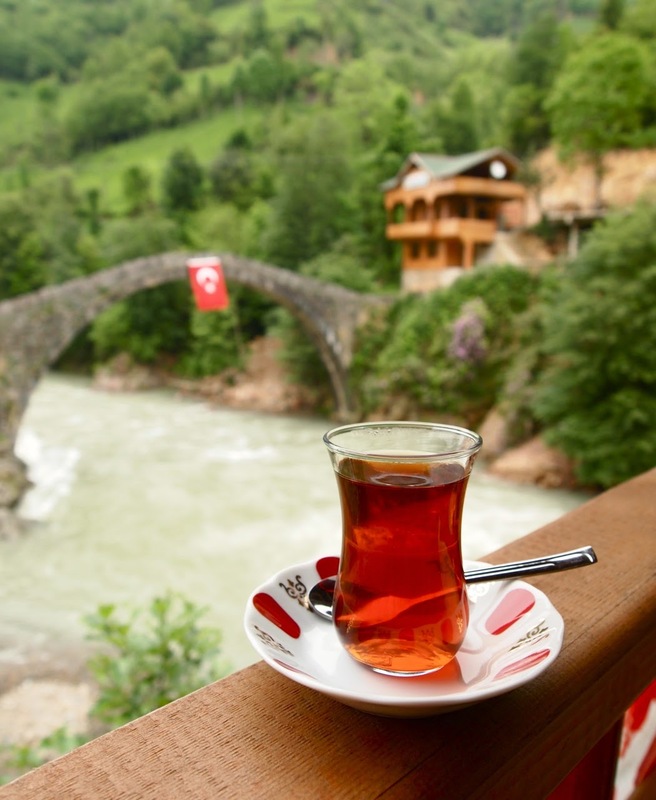 Turkish pride: an Ottoman bridge, local tea and a Turkish flag. The altitude rises steadily until you reach Ayder at an altitude of 1300 meters. There are plenty of hotels and guesthouses, many in a rustic style in keeping with the eco-theme that permeates the area. There are buses and shared taxis from both Trabzon and Rize. Once in Ayder, just walk- that was the point of coming here, right? Culture Routes in Turkey Website on the Kaçkar. Awesome..looks like a must visit when in Turkey the next time.